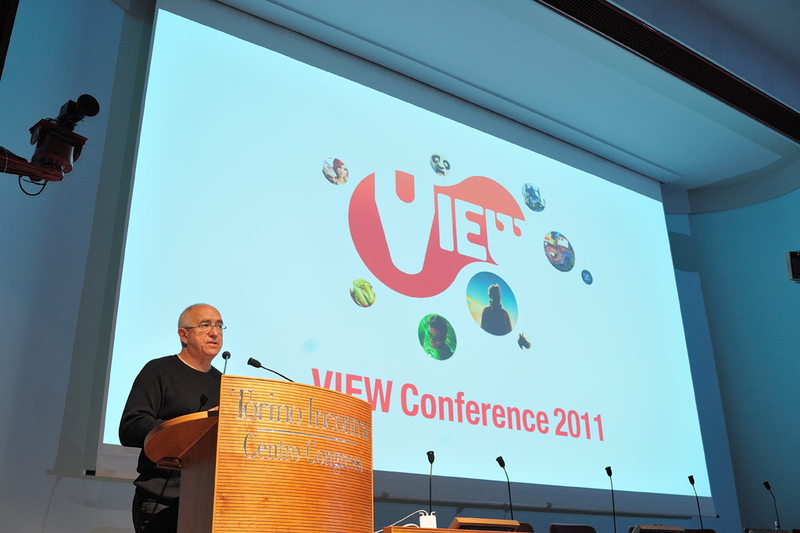 On Friday, Oct. 28, 2011 VIEW Conference hosted a Master Class with Randy Thom, Director of Sound Design at Skywalker Sound. He is a firm believer that the sooner the sound designer is involved in the pre-production, the better the story can be told. Randy illustrated how sound can shape a film, talking about how doors can be opened to sound. 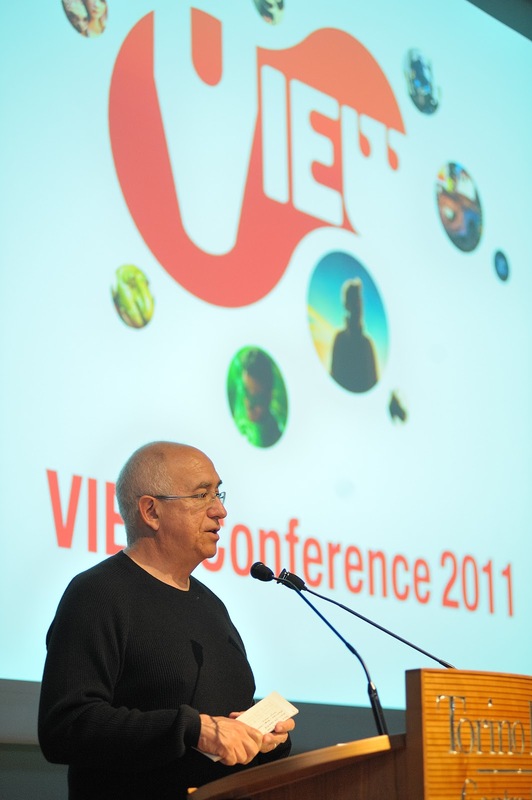 He also shared clips from movies where this kind of early collaboration has happened. Here's an excerpt of his talk during the workshop. Alan Splet, Walter Murch and Ben Burtt where the three people who lived within about 20 miles each other near San Francisco who really brought a new revolution into American film sound during 70s. I was lucky enough to work with all three of them and “steal” some of their best ideas. One of the first things that you learn as a sound designer is not think to literally about sound, so one aspect of training your ear is to interpret sound in emotional terms. Subjectivity in filmmaking is a playground for sound: when the audience understand that they don’t figure out consciously, but what they seeing and hearing is being filtered through a character’s or filmmaker’s point of view in a subjective way. Very often working on a sequence for a film what you want to do is think of how you want the sound to make people feel and you analyze what it is about that sound makes you feel certain way and you go looking for sounds or raw material that have those qualities. If there was ever a film where sound and image were treated more or less equally and allow to affect each other certainly is Apocalypse now. The first sound that you hear in the film - before any music or any dialogue - is a very odd, electronically synthesized helicopter sound - the Ghost Helicopter. Captain Willard is hearing the memory of the helicopter that he has. What you’re listening to is this guy’s brain. He’s remembering things, he’s hallucinating, he’s dreaming, he’s drunk and under the influence of drugs, he’s listening to his brain operate. The opening sequence is the launching point for all story, immediately the audience is put in a frame of mind that anything can happen, this is going to be a very strange ride. As he stands at the window looking outside he might heard a little fly buzzing: it took me a week to record that fly (laugh). At first he hears - and we hear - the sound of Saigon outside (car horns, Vespas, police whistles). Those sounds morph into the sound of the jungle: each one of those individual city sounds turns into specific jungle sound. Physically for the all sequence he’s still in his hotel room, but in his mind he moves back into the jungle. Sergio Leone decided early on that they will record all the music for this movie before they started shooting the film and they used the music during the shooting to help the actors and essentially to inform how the film is going to be shot. They were struggling how to make music and sound working together before shooting the sequence. Ennio Morricone, the composer, happened to go to a musique concrete concert - a genre involved using real world sounds, rather than traditional musical instruments - by a guy who played a latter, banging and scraping on it. Then he called Leone and said: “There’s should be no conventional music at all in the beginning of the film: instead you perhaps should shoot around the sound effects.” Leone went shooting the sequence thinking about how the sound of this little train station were going to work in the storytelling. I think that’s a tragedy that very few studios these days will have the guts to allow a filmmaker to do a sequence like that. They say: “People are going to be bored, we have to fill up with uptempo music through the all thing”. Some budget filmmaking these days is “fear based”, it’s not an attempt to do something new, interesting and unusual, to open people imagination. It’s an attempt to avoid boring people, which is never a good motivation in art. One of the things that these two scenes have in common is a very strong sense of point of view. Camera angle are very important to sound, believe it or not. The kind of shot, where an actor looking at nothing in particular, is another open door for creative, subjective sound, because the audience knows intuitively that they’re going inside the character’s head. It’s an open door for sound designers to put almost any kind of sound that we want. Having some ambiguity or mystery about the visual image makes it easier for me to do something useful with the sound. Extreme close-ups get across the idea of subjectivity. Long duration shot opens the door for sound, too. The character’s closing eyes is also an opportunity for sound to do something interesting (imaging, remembering...). The most difficult kind of shot is a brightly-lit medium shot, because you’re not focusing on anything in particular and there’s no mystery there, there’s nothing that invites the ear to help figure out what’s going on. Another element they’ve in common is sparse dialogue. I’m certainly not against dialogue in film - dialogue will always has a role. Dialogue and sound design generally don’t go well together, because there’s something about the human voice that the human ear want to attempt to. If someone is talking - no matter how hard a director ask me to try to push sound effects during that sequence - it will distract you from the dialogue, which the audience is trying to hear. The way to solve that problem is to design the sequence in a way that there are moments for the dialogue and moments for sound effects. A compromised has to be made, you can’t as a filmmaker try to fire all your bullets at the same time, it’s not going to work. One category of sound tends to dominate at a time - it’s dialogue, it’s music or it’s sound effects. Another bad tendency in contemporary filmmaking is to try to set it up so that all three dominates simultaneously, it will never works. Lazy filmmakers will just call the composer: “make some very strange music telling the audience that this is a very strange place”. As a sound designer you try to do things and variations in the same way a music composer, to use sound in pure musical way: tempo, harmony and rhythm to evoke emotion. Think about what elements in a set could generate the sound useful for the storytelling: this will be more powerful at the end, it’s not a decoration, that’s a very organic way of telling the audience “this is a very strange place”. Most writers are obsessed with words, and they tend to think words should dominate every sequence, with wall-to-wall dialogue. Filmmakers simply don’t think about how to use sound in that way before start shooting the sequence. Think about what the characters hear. Think about how the things they hear affects them and how character changes over time. I often found people who come from visual/light background - which David Lynch did - have very interesting sound ideas. He demands you to be creative all the time. Another thing I told to directors is: during rehearsal in a live action scene, play with your actors in terms to find things in the space that can make sound that will be useful to the story. As a sound designer, try to imagine ways that sound could playing in an interesting but organic, truthful way to help the storytelling in the sequence. Try to think to other powerful sounds that the audience doesn’t expect. Part of your job as a sound person - I think - is to help the director make the best film possible. If you have interesting ideas - and you should have them - about the way of film shooting that allow you to do something you couldn’t do otherwise, of course you should talk about it. Thanks to big aesthetic jumps in animation, more contemporary animation directors want movies should sound like a live-action movie. For “How to Train Your Dragon” I come up very early on with some speculative vocalizations for the dragons that will help the animators to animate to those elements. I tried to use real-world animal sounds - tiger growls, elephant, whales, goats, camel, dogs - to cover a wide range of emotions, allowing sound to influence the animation. The challenge is how to make the transition from one to another, which needs a lot of work and experimentation with pitch-changing techniques. Mix is about to choose right or most powerful sound in any given moment. In a moment when you need to hear the dialogue you try to artfully lower or eliminate sets of other sounds that are competing with the dialogue at that moment. Space can make sounds useful to the story: there are a lot of others tricks like moving the sound effects and the music into the side loudspeakers and have the voices mostly come out from the center speaker, which make a little bit easier to understand the lines of dialogue. Sound is more powerful if comes from a place we doesn't expect. You need to think of sound in terms of spectrum and frequencies and tailor those for a given moment.